INDUSTRY.co.id - Jakarta - Halmahera Island located in North Maluku province has a wealth of natural resources (SDA) is abundant metal mining, fishery, agriculture and geothermal potential. 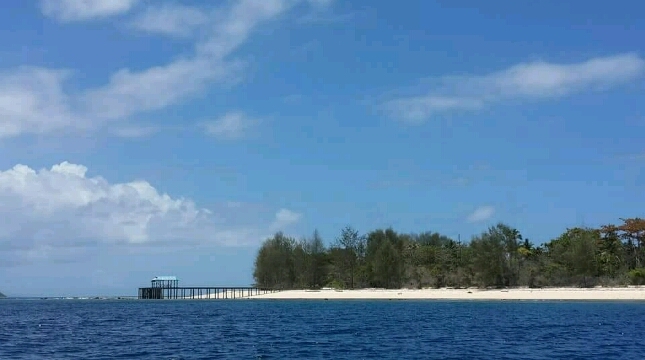 Halmahera, which has a hypothetical potential of Nickel minerals of 238 million tons and an estimated geothermal potential of 425 Mwe, is projected to be one of the clean energy-based SDA development centers. In order to accelerate economic development in North Maluku Province, the Government then divides Halmahera into two clusters based on the location of the region, North Halmahera (Economic Cluster 1) and South Halmahera (Economic Cluster 2). The Economic Cluster 1 is dominated by the metal mining industry while the Economic Cluster 2 is more diverse. "Halmahera Island is expected to be one of the centers of economic growth and demonstration of clean energy development. To meet this economic potential, the electricity needs will increase, at least 700 MW in the next few years," said Head of Research and Development Agency FX Sutiatsoto at FGD Economic Cluster Based on Clean Energy and Minerals on Halmahera Island in Jakarta (15/05/2018). Sutijastoto expressed that the fulfillment of the projected increase in electricity demand for industry in Halmahera will utilize geothermal potential, where geothermal development in addition to environmentally friendly also provides energy resistance in the front manas, since geothermal is not dependent on world energy price fluctuations. Currently for geothermal in Halmahera Island, three areas have obtained permit for WKP management ie WKP Gunung Hamiding, Songa Wayaua and Jaillolo. The potential of geothermal supply from WKP Gunung Hamiding managed by PT Star Energy Geothermal has an estimated 265 MW of reserves and upside potential of field development can reach 795 MW with Commercial Operation Date (COD) target in 2024. PT PLN (Persero) manages two WKP WKP Jailolo with an estimated reserve of 70 MW and WKP Songa Wayaau with potential of 10 MW. As for the preparation of the geothermal development financing facility, PT Sarana Multi Infrastruktur (SMI) Persero has the role of managing geothermal infrastructure development fund (PISP), assignment from the Ministry of Finance in geothermal data and information facilities, collaboration with bilateral and multilateral in exploration risk reduction mechanisms and the establishment of PT SMI's geothermal project management unit (PMU). "PT Sarana Multi Infrastruktur is conducting an evaluation of the proposal evaluation at WKP Jailolo, where scheduled initial screening will be conducted by mid 2018, assignment by the end of 2018 and drilling by the end of 2020." Revealed Head of Division of Regional Financing of PT SMI (Persero), Erdian Dharmaputra on the occasion.